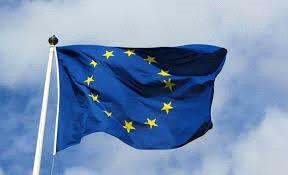 AMMONNEWS - The EU rejected Jordan request to relax rules of origin for export to the European continent, denting the kingdom's hopes of increasing its exports to the EU. Jordan has recently submitted request for the EU as the current rules make it very hard for local industries to meet strict EU regulations about industrial output and contribution of local resources in production. "We held discussions with the EU last week in regard to extending more facilities to Jordan; nothing came out of these meetings and the EU did not approve our request," an official at the Ministry of Industry, Trade and Supply, who preferred anonymity, was quoted by the The Jordan Times. According to the current agreement, Amman can import up to 70 per cent of the raw production still label the finished products as "Made in Jordan", qualifying them for trade concessions. The government also requested reviewing one of its conditions related to employing a certain percentage of Syrian refugees for a factory to be eligible to export to Europe and improve other terms. The agreement with Jordan was put in place to encourage integration of Syrian refugees in the local economy, but the objective has not been reached. For Jordanian industries to be able to benefit from the simplified rules of origin by the EU, each factory needs to have Syrian employees constituting no less than 15 per cent of its manpower. The rate will be increased to 25 per cent in the third year of the agreement. More talks are scheduled between the two parts as Amman hopes to find mechanisms to stimulate its struggling economy.